Monday morning has seen the Pound Sterling to New Zealand Dollar (GBP/NZD) exchange rate attempt to claw back ground lost last week. Despite the disappointing UK housing data released by Rightmove today (showing the largest drop in November house prices since 2012) the UK currency was still able to make gains. The GBP/NZD exchange rate was also able to advance 0.8% despite some recent positive reports from New Zealand, including growth from 54.2 to 55.4 in the performance services index. ‘Activity/sales (57.8) returned to levels last experienced in July, while new orders/business (57.9) recovered somewhat after a drop in expansion levels the previous month. Also, after four consecutive months around the no change/contraction level, employment (54.0) increased to its highest value since December 2017. The NZ producer price index output showed growth from 0.9% to 1.5%, while the producer price index input measure rose from 1% to 1.4% in the third quarter. Pound Sterling (GBP) exchange rates slumped dramatically last Thursday following the chaotic response to the draft Brexit deal. The GBP/NZD exchange rate really suffered last week, with the pairing dropping from highs of NZ$1.9273 to lows of NZ$1.8636 – movement of 6 cents. But the pairing has since returned to trading in the region of NZ$1.8805. So far this week, Prime Minister Theresa May has managed to avoid any more resignations from members of her Cabinet, which has stabilised the Pound. However, May still has the threat of a vote of no-confidence being triggered if the forty-eight letters required are submitted to Sir Graham Brady. Such an outcome would inspire a new bout of Sterling volatility. At the end of last week, New Zealand saw some positive data in the form of the purchasing managers index, which grew to 53.5 from a previous 51.7, the highest reading since June. 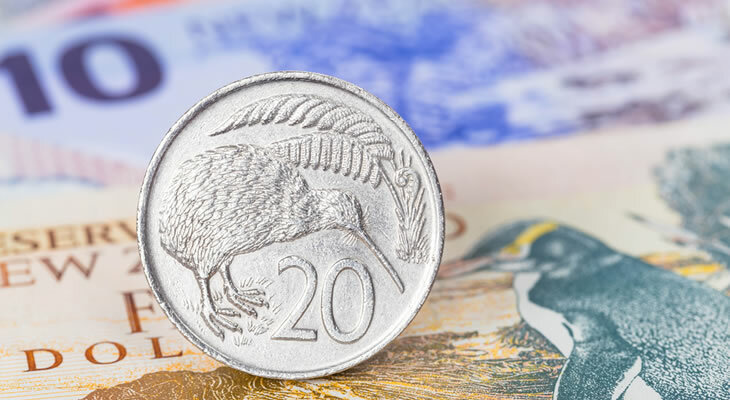 Despite this, the clash between the US and China is proving unfavourable for the New Zealand currency, as investors remain wary of the impact a trade war between the superpowers would have on the New Zealand economy and the ‘Kiwi’. The Asia-Pacific Economic Cooperation (APEC) meeting was the scene of the latest clash between the US and China, as Mike Pence, President Donald Trump’s Vice President, and President Xi Jinping choose escalation rather than using the meeting to diffuse tensions. This latest news has undermined hopes that relations between the US and China are thawing. The main catalyst for any changes to Pound Sterling (GBP) exchange rates is undoubtedly going to be Brexit, and whether or not Theresa May is going to be able to keep hold of her leadership. Tuesday will see a speech from the Governor of the Bank of England (BoE), Mark Carney, and the tone adopted will determine what impact it has on Sterling exchange rates. The global dairy trade price index is released on Tuesday, and if the forecast of a -0.8% drop in dairy prices proves correct, New Zealand Dollar exchange rates may weaken. Prices at the previous auction fell -2%. The New Zealand Dollar is also likely to remain volatile as the possibility of a trade war between the US and China is looking increasingly likely, with Chinese President Xi Jinping informing South Korean President Moon that he is considering accepting the invitation to visit North Korea by leader, Kim Jong-un.